Hi friends! I am Destri from The Mother Huddle, pleased to meet you. I had wrote a little ditty with what we are all about, but it became entirely too long so instead I thought I would just let the about page introduce us. Really I have been waiting for what seems like ages to share this project with you, so shall we just get on with it?! I have a great little landing at the top of my stairs that has acted as my kids toy room for years now. The thing I dislike the most is that the only soft element in the room is the carpet, everything else is hard. I wanted to bring in some more storage but thought if I put in more shelving it would just add to the “hard” look of the space. So then I remembered a project I had done for my sewing room with little hanging baskets and how if I just made them bigger they would be perfect. I knew I had to add something to hold the bottom in place, but if you are anything like me, if I have to pull out an electric saw to get a project done…it’s going to take a while :). 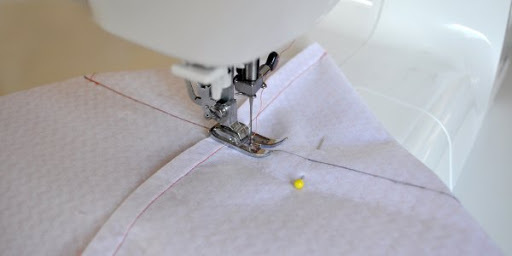 So I found the perfect solution at Home Depot, and did some math and created a tutorial that only involved a little quality time with my seam ripper. Sweet. Let’s get started! And you done! Now just hang them! They really are super easy, and the possible uses are endless. I have this post that explains how to make them different sizes and if you make them smaller they should need nothing in the bottom. 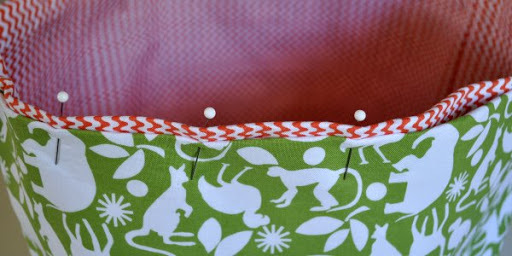 You can use any kind of curtain rod, just make sure your piece that the basket will hang from is big enough. Let me know if you have any questions! I hope you will come join us in “The Huddle”, we love having new friends to share with, and no you don’t have to be a mom…we all just happen to be. That is such a cute idea! I have an awesome rod that I got at Rod Works and I am kinda bored with hanging frames from it so this will be perfect! Thanks! Brilliant! This is one of the best ideas I’ve ever seen. I am certainly going to try it! I also had to laugh because we totally have that duck (Bubbie Duck) and that Monkey (Monkey. Original, I know) And if that bear is one from Build a Bear…we have him too…but I can’t quite tell. Thanks so much for the idea and the tutorial!! Wow this is a great idea. Love it!! Thanks for sharing this! what a great idea! 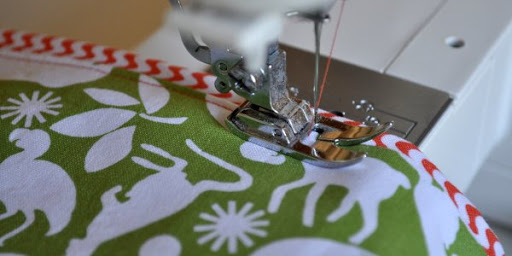 I love these, they would also be great in a nursery with baby stuff like diapers and wipes, so fun! This is a great idea. I may use it for my classroom! Thank you for sharing. 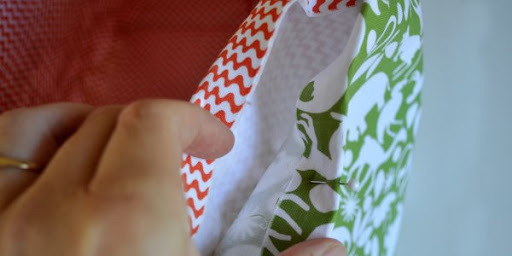 I love this idea and the fabric. Can you tell me what brand it is? Wow. 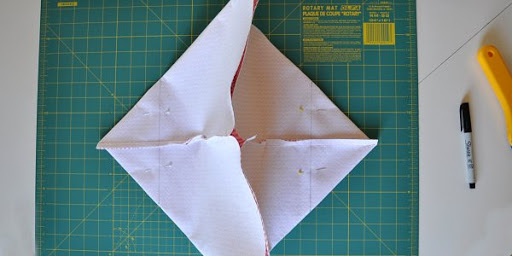 I had Destri’s smaller version on my to-do list…now I’m thinking of many more possibilities. Thank you Destri and Kari. great idea!! I LOVE them and I am sure I can find a spot for them around my house. That is a very cute idea!! Thanks so much for sharing it!! love it! You seem to have worked all the kinks out. 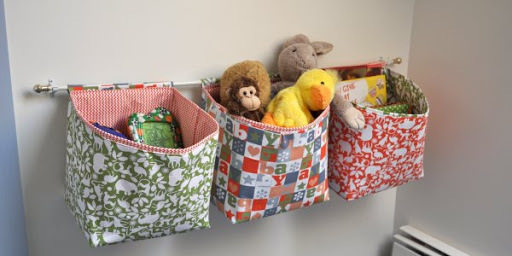 I recently made a bunch of fabric totes and hanging book caddy for my boys toys but it was so frustrating that it may take awhile to get back into the fabric storage mode. Your tutorial will be the first I use when i do get back into it though! thanks! That is adorable! I love the colors you chose and this is a unique storage idea for items. So great!!! 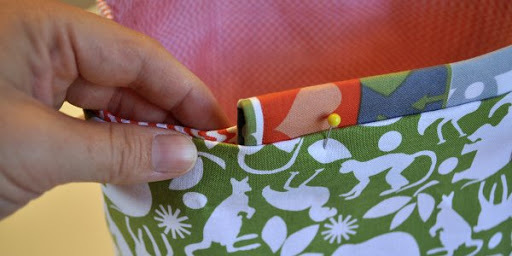 Very cute!Beautifully sewn, as well! I love these. I’ve been looking for something to do for books that will make it easy for the little ones to put away. I like the wood library type shelves, but I think this will hold more and that is a good thing. Decor bond for me seems to just be a little stiffer, but not much, also it tends to come with quite a bit more in a yard but is normally about $1 more a yard. But I didn’t know it came in colors! I did make some smaller ones for a nursery and they looked adorable. You can make the baskets any size and really you don’t need anything in the bottom for 8×8 or smaller because the corners offer enough support. Send me pics if you make them! 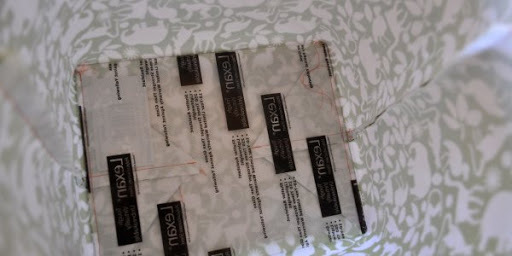 I bought this fabric over a year ago at a fabric sale for $3 a yard! I love it too, but the funny part is I didn’t look closely enough at the letters, I thought it was the alphabet, but it just spells baby! Oh well. My sister will know the brand I can let you know! Also if you live in Utah I know the quilt store in springville has some. 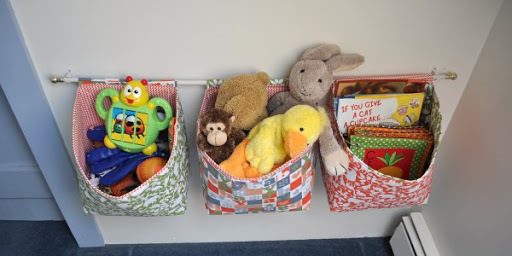 I like the pocket style of these baskets better for books, if you click on the link to the other project on The Mother Huddle. This is a great idea. I just cleaned out my girls’ toy storage organizer thingy. It’s three levels with plastic baskets that hook over wood dowels. The plastic baskets cracked so I threw them away. I wanted to use the storage frame and put in woven baskets or something. But I didn’t know how I would keep the woven baskets from falling because they don’t have a lip to hang over the wood dowels. 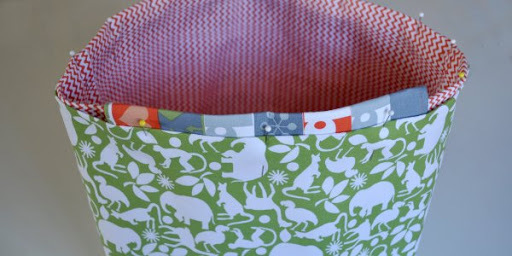 This fabric basket is great because I can sew tabs on both sides for the wood dowels to go through and also sew on snaps because I can’t take the wood dowels out to put through the tabs. Sorry, that was long, but I’m so excited that I now have a solution to my problem! Thank you so much!! These are awesome!! 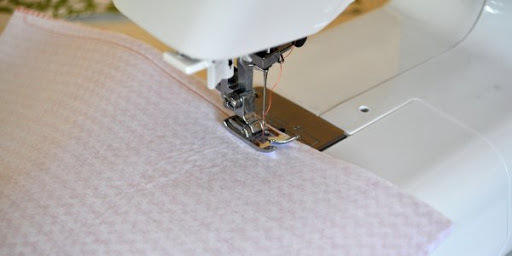 I linked to your tutorial over at Craft Gossip Sewing. Great idea. Very informative. Well written instructions! 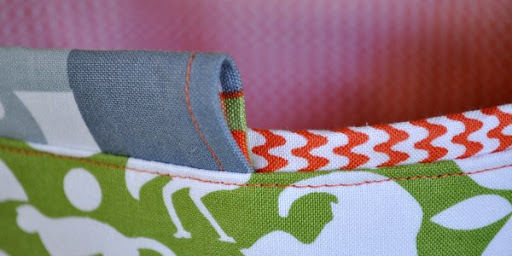 Awesome Idea, love the fabric! I love these! They seem so much simpler to make than other storage boxes I’ve seen. Thank you for sharing! I am definitely going to do this for my daughter’s room! 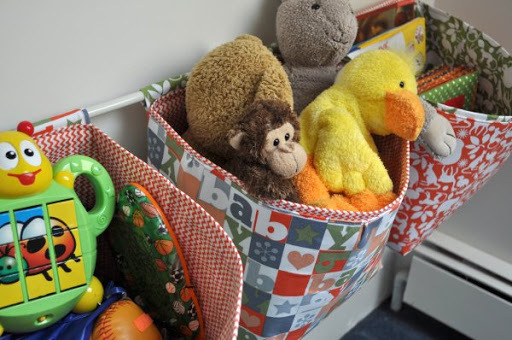 We need more storage in there, and this idea is so cute. Love it! I’m so excited, I almost spent $15 for a pattern that doesn’t hang when this is exactly what I was looking for for the kids and myself. Thank you so so so much for sharing! This is so cute!!! 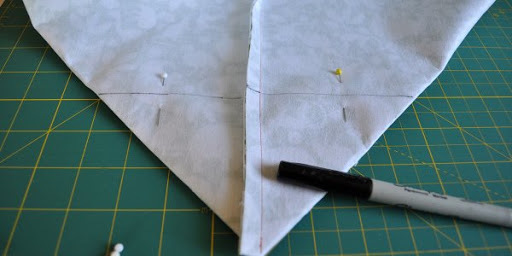 I’m adding it to my “to make” list! This is a great way to store stuff. 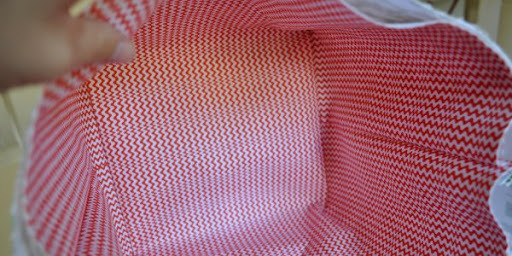 I’ve made fabric box/buckets before but hanging them? That’s fabulous. And another thing… There’s an ‘if you give a cat a cupcake’ book? I love all the others, why did i miss this one? Next stop, Amazon. So cute! Thanks for the tutorial, it’s going in my project folder! Wow, this is cute. I’m in college and this would be great for dorm room storage. Great tutorial. These are beyond darling and so useful! I just linked to this post from my organization site. Thanks! these are super, shared on facebook…..thanks! I really like the idea of hanging baskets, and very cute. What a wonderful idea! Brilliant idea I liked it hope to try it soon. This is so cute and a super idea. Your instructions look super easy to follow. I just need clarification on one thing. When you say that it took you 1 yard of each material, was that 1 yard would do an inside and an outside of 1 basket? So would you need 6 yards total or 3 yards total of material? These are super cute. And so functional! 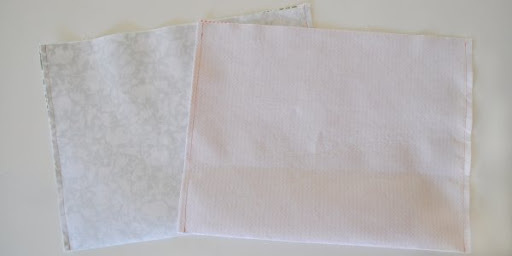 These are adorable and I think would be great in a mudroom….and a sewing studio….and my office…. 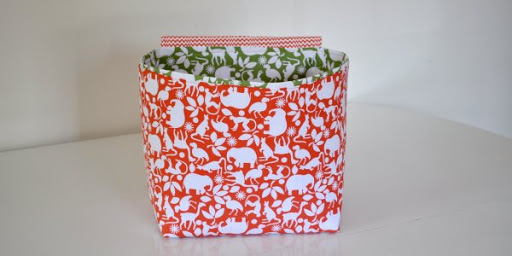 This is the only way I think I’m going to get exactly what I want for cloth diaper storage in the space I need it. AMeei as suas dicas! valeu. 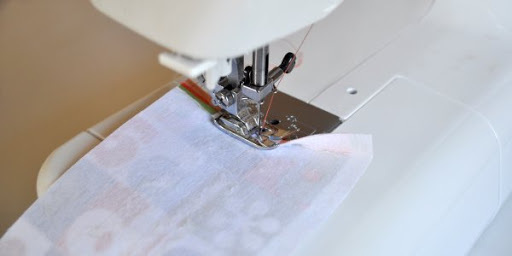 These are brilliant – I want to make some for my nursery but also my sewing room. 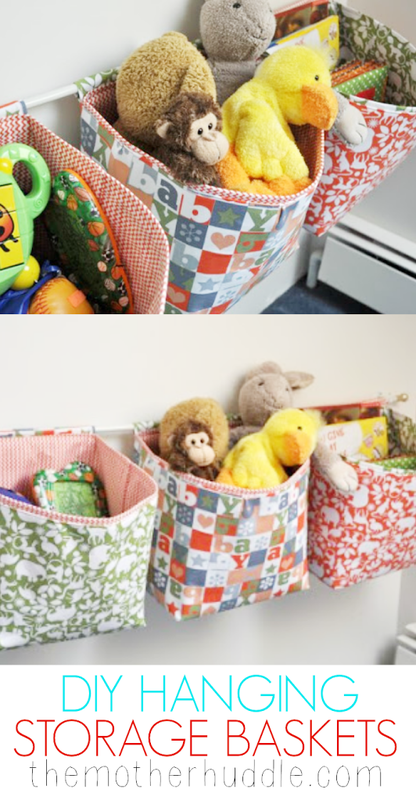 You can create a set of baskets from any material you like, and you can easily adjust their size.